It's not exactly what you'd call a conventional graduate pathway. But more and more educated young people are turning their hands to farming. Why? Did you ever hear the one about the young English woman, Frenchman and Welshman who all moved to Greece together to start a farm? Sounds like the start of a joke, doesn't it? And yet that's exactly what happened on Mazi Farm, a regenerative agricultural project in the heart of the Mediterranean basin. And this is no isolated incident – this is a trend that can be found increasingly all over the world. But what would possess young people to start swapping their Oxford brogues for wellies, donning dungarees instead of suits and picking up pitchforks instead of briefcases? Disillusioned by the standard 9-5, we are seeing a generation of environmentally conscious young people looking for a meaningful answer to our world’s sustainability problems, and they are finding that answer in agriculture. So, why agriculture? Agriculture has been gaining recognition in recent times as one of the most environmentally damaging forces on our planet. As the world's second largest emitter of greenhouse gases and one of the largest contributors to deforestation and biodiversity loss, it is fair to say that agriculture is the way that we are leaving our largest mark on Earth. In response, a burgeoning of vegetarian movements, community gardens and organisations devoted to food issues have sprung up. But some young people are going further than that, delving deep into the heart of the problem of production by working towards a new kind of agriculture, called Regenerative Agriculture. “Regenerative Agriculture is a way of producing food by mimicking natural ecosystems, working with nature's rhythms rather than against them” explains Dimitri Tsitos, Farm Manager at Mazi Farm. In this way, they work to make productive systems that give back to their environment more than they take, in terms of environmental services such as increased biodiversity, air and water quality, and carbon storage. It does this through techniques such as focusing on soil building as the basis for ecosystem health and using intelligently designed combinations of crops to maximise land use whilst minimising harm. This is particularly important with severely degraded land, such as in Mazi's home in Greece where historical misuse of the land by overgrazing and overuse of fire management has left the land in a vulnerable and damaged state. 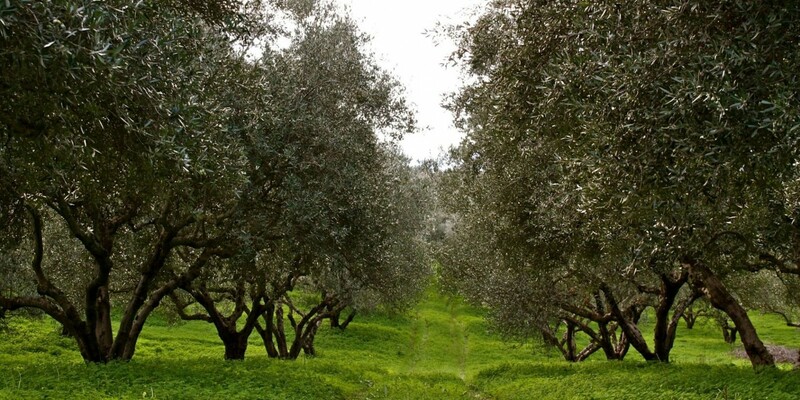 By using regenerative techniques, they hope to restore the land back to its former glory days when the Mediterranean was able to produce high quality, nutritious food from healthy soils. But, more than just bringing life back to the land, regenerative agriculture also seeks to be a way to bring back life to local, rural areas who have otherwise been abandoned thanks to financial crises and brain-drain to the cities and other countries. In this way, regenerative agriculture works to regenerate communities and reconnect people. Mazi in Greek means 'together' and it is their belief that together we can work towards a food system that creates a positive impact on our planet whilst producing healthy, nutritious food. More and more young people are developing an understanding that what we eat and how we grow it defines us, our relationship with nature and our future on this planet. Regenerative agriculture is allowing them to reconnect with the living world to create a lasting, sustainable impact on our planet whilst earning a decent living.